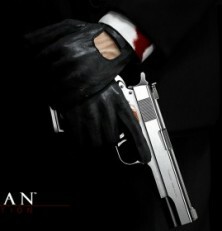 This article covers few new details for the bald assissin’s latest caper entitled Hitman Absolution: 47 ‘s Instinct mode gives him a new ability called Point Shooting. This allows him to go into slow motion, target a series of enemies, then release the button and automatically aim at and execute them somewhat instantly. It’s not unlike the Mark and Execute system feature in Splinter Cell: Conviction, and IO hopes it will make pure gunplay a more attractive style to play.